Right from the rich regions of Western Serbia that make Tara, Zlatibor, and Povlen, 'Čobanov odmor' today revives the tradition of preparing kajmak, cheese, prosciutto, roasted meat and other specialties and offers products of established quality and unique taste. The concept of natural and quality food is intended for everyone, and above all to a younger urban generation that wants to preserve the connection with its Serbian roots. The traditional food of our grandfathers is prepared and packaged for quick use, while modern and functional packaging preserves the taste and quality of food. 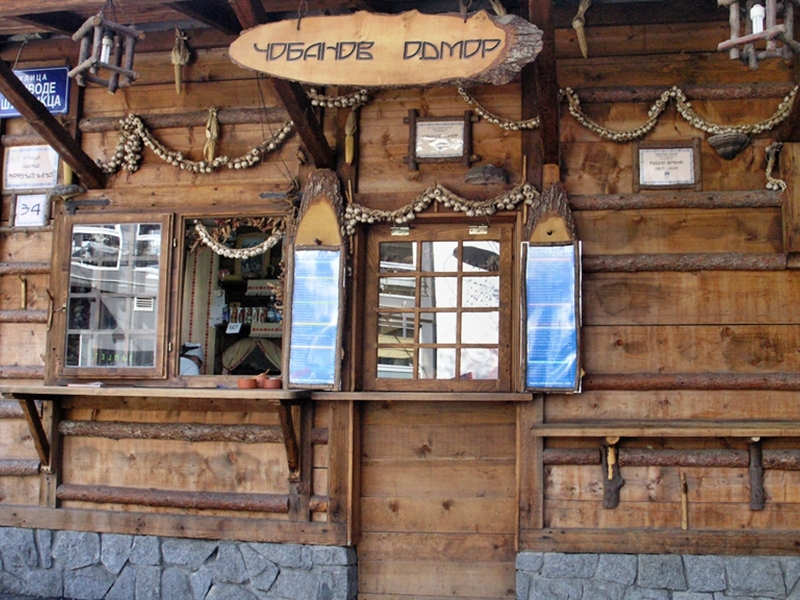 In Čobanov odmor you will enjoy the rural ambience of the traditional cabin of Western Serbia, and you will be served by the staff dressed in Serbian folk costumes. In the offer of 'Čobanov odmor' is a specially organised catering in the traditional spirit for promotions, cocktails and cultural events. Authentic Serbian fast food is available via free delivery in all parts of Belgrade every day from 09-01h. Kafanica is located in Kosutnjak, one of the most beautiful Belgrade excursions.